Member of the Harlem Gospel Singers starring Queen Esther Marrow touring throughout Europe 1999 – 2006. Has opened for Smokey Robinson in the Pocanos. Sung backup for Clint Holmes, Vickie Sue Robinson, Sophie B. Hawkins, Raquel Welch in Atlantic City and Miami Beach, featured in her music video This Girls Back In Town, Billy Joel Kaufman Astoria Studios backup singer. Featured singer as part of the official entertainment company for the Inaugural celebration for the re election of president Ronald Reagan at the Kennedy Center. One of 3 featured singers lead and backup for the star Queen Esther Marrow for Pope John Paul II for the Millenium Celebration in Rome at the Vatican. Can be seen in the MTV music video by Grammy nominated artist Sophie B. Hawkins for the song “Damn I Wish I Was Your Lover”. Backup vocalist for the Japanese pop artist named Viva Ai, singing primarily in Japanese. 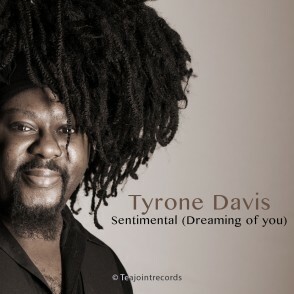 Tyrone Davis is signed to Teajointrecords International and is currently working on his album which is due to be released in 2014.